Track Informational Meeting: March 20th, 2:45pm in the upstairs cafe. 3. A Check payable to "NHS Athletics" for $225 or an email confirmation of payment online. 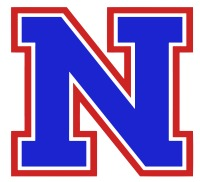 Follow Kennedy Middle School Athletics (@KMSNatick) on Twitter! Before you do anything, go to the SELECT DATE(s) Section and Click on "Back to Today" for correct date. To obtain a season schedule, go to the "Schedule View" Section.